In this video we will discuss content projection in Angular with an example. This is continuation to Part 61. Please watch Part 61 from Angular CRUD tutorial before proceeding. Content projection helps us create reusable components. In Angular 1, this is called transclusion. Let us understand content projection, with an example. We want to create a reusable accordion type of control. 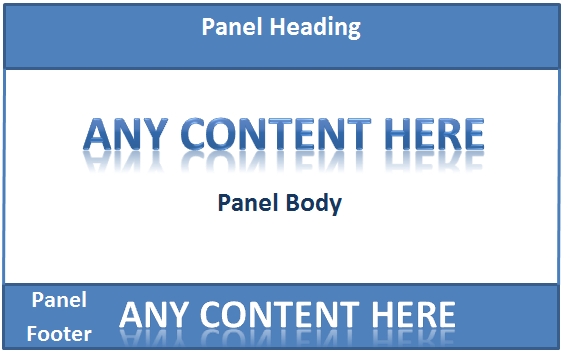 The panel heading must be clickable, and when clicked the panel body and footer must be collapsed. Clicking on the panel heading again, must expand the collapsed panel body and footer. Another important requirement is, this accordion panel must be reusable with any other component in our application. The component that uses this accordion panel component, must be able to specify what content it wants in the accordion panel body and footer. For example, if we use this accordion panel, with a ProductComponent that displays a product, then in the accordion panel body, the ProductComponent may want to project and display product image, price, weight etc. In the footer, the ProductComponent may want to project and display buttons to customise the product or buy. In our case we want to use this accordion panel, with DisplayEmployeeComponent. 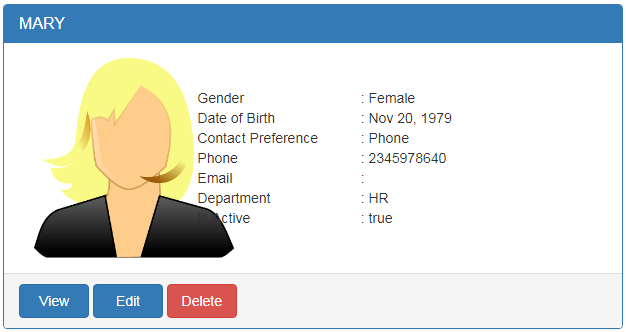 So in the panel body we want to project and display, employee photo, gender, date of birth, email etc. In the footer, we want to project and display buttons to View, Edit and Delete employee as shown below. So the important question that we need to answer is, how will the components that use this accordion component be able to inject variable content into the acoordion panel body and footer. 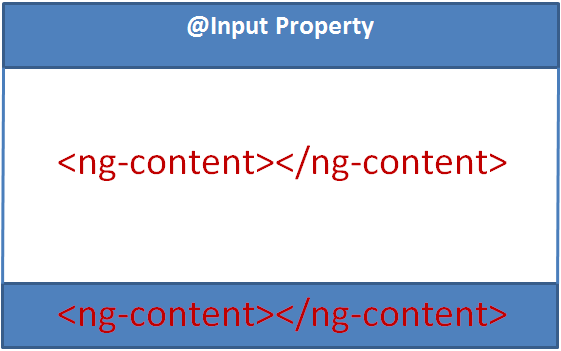 As you can see in the image below, you can think of this <ng-content> as a place holder for the variable content. In a bit we will understand, how a component that uses this accordion component can project variable content depending on the requirements of your application. First, let's create our reusable accordion component. This is a reusable component and can be used by another component in our application. So, let's place this component in the "Shared" folder. Use the following Angular CLI command to create the component. accordion.component.ts : Notice, in the component class we have introduced 3 properties. The code is commented and self-explanatory. accordion.component.css : The "pointerCursor" class makes the cursor a pointer when hovered over panel title, so the end user knows, it is clickable. accordion.component.html : As you can see, we have defined the shell for the accordion panel i.e accordion panel header, body and footer. We also have encapsulated the logic in this component to show and hide the panel body and footer. But the content that goes in the panel body and footer will be decided by the component that consumes this accordion component. The consuming component will also need to bind and pass data for the 3 input properties (title, isHidden and hasJustViewed). Changes in display-employee.component.html : The changes are commented and self-explanatory.